Brook Lodge Country Cottage in Wroot, near Doncaster sleeps 4 people. Immerse yourself in the real English countryside at this tastefully decorated and well-equipped holiday cottage. The location makes it ideal for both business and leisure purposes, either as a base to explore from or just to relax in. Situated in North Lincolnshire, just over the border with South Yorkshire and close to the Nottinghamshire boundary the cottage is a secluded hideaway in the agricultural village of Wroot. Doncaster, famous for its horse racing and Robin Hood Airport are close by. The cottage overlooks the owner’s carefully tended garden which is totally enclosed. Shop and pub ¼ mile, restaurant 3 miles. All on ground floor: Living room. Kitchen with tiled floor. 2 bedrooms: 1 double (5ft), 1 twin. Shower room with toilet. Gas central heating, electric, bed linen and towels included. Travel cot and high-chair on request. Two freeview TVs. DVD. CD. Electric cooker. Microwave. Washing machine. Fridge/Freezer. Wi-Fi. Terrace with sitting-out area and furniture. Shared enclosed lawned garden. Bar-be-que (summer). Parking (2 cars). Cycle store. Welcome pack. No smoking. Holidays run from Friday to Friday. NB: Open pond in garden, 5 yards. For a better idea of where Brook Lodge Country Cottage is, you can see Brook Lodge Country Cottage on the map below. Brook Lodge Country Cottage is in South Yorkshire; should you be on the lookout for a special offer, you can find all the special offers in South Yorkshire. It's always worth checking to see what is on offer at the moment. 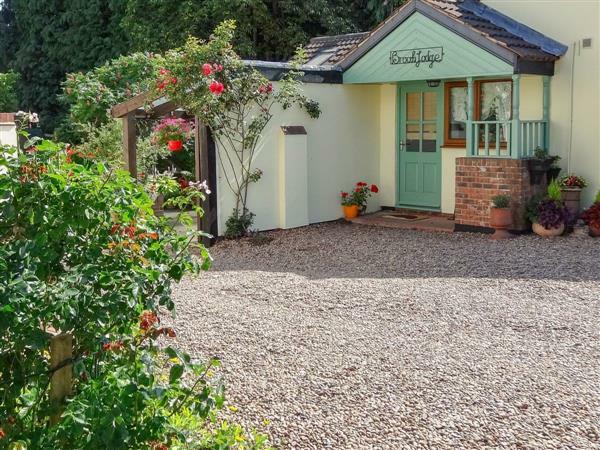 Do you want to holiday near Brook Lodge Country Cottage (28742), you can see other cottages within 25 miles of Brook Lodge Country Cottage; have a look to find your perfect holiday location.